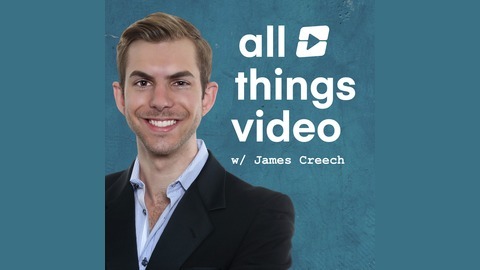 All Things Video is a podcast dedicated to uncovering the past and charting the future of the online video ecosystem. Listen to interviews with founders and C-level executives of the world’s leading video networks and engage in thought-provoking debates about the key issues shaping the next generation of entertainment. From the short-form content revolution to the fragmentation of video viewership in an always-on world, All Things Video reveals the key trends and insights from the world of digital video. James DeJulio is the Co-Founder & CEO of Tongal, a global community of creators that develops video content for networks, studios, and brands. Prior to launching Tongal, James was an executive at How2TV, The Robert Evans Company / Paramount, and Half Shell Entertainment. In this episode, we explore the changing nature of the entertainment landscape. James argues that the traditional Hollywood model is outdated, which has led to fewer films being produced, a greater reliance on sequels built around major franchises, and a risk aversion that prohibits creativity and experimentation. As a result, James and his partners launched Tongal to provide opportunities for talented but undiscovered creatives and produce high quality content at a lower cost than traditional studios. We also discuss Disney’s big bet on streaming media, the continuing arms race for big Hollywood talent, and the ongoing negotiations between the Writers Guild of America (WGA) and Association of Talent Agents (ATA). Finally, we highlight how toy companies have embraced digital media to reinvent their brands and Amazon’s ability to influence consumer action from show to shelf. All Things Video is a podcast dedicated to uncovering the past and charting the future of the online video ecosystem. Listen to interviews with founders, executives, and thought leaders from the world’s leading media companies and engage in thought-provoking debates about the issues shaping the next generation of entertainment. From the short-form content revolution to the fragmentation of video viewership in an always-on world, All Things Video reveals the key trends and insights from the world of digital media. Follow All Things Video on Facebook, Twitter, and LinkedIn for new episodes and updates! 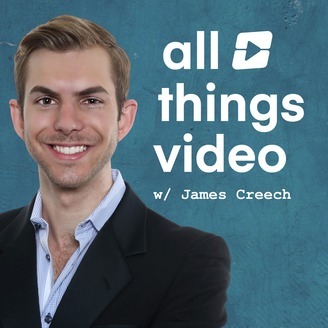 James Creech is an entrepreneur focused on technology, online video, and digital media. He is the Co-Founder & CEO of Paladin, the essential influencer marketing platform for media companies, agencies, and brands.